Anticipating the sanctuary of an airport lounge before or after a long-haul flight for a drink and a light meal may border on bliss — until you’re hit with a $50 entry fee. If you’re a frequent traveler, consider a premium credit card that offers complimentary airport lounge access. You’ll not only receive lounge access with these cards but a whole treasury of travel benefits. Premium credit cards offer generous sign-up bonuses, travel purchase credits, free internet access, the ability to earn travel rewards, luxury perks and benefits, assistance when things go wrong, and travel and purchase protections. Don’t buy a lounge membership or even a day pass until you’ve reviewed our collection of credit cards to consider for complimentary lounge access, which cards provide this perk to authorized users, which cards offer discounted lounge access, and our breakdown on how much complimentary lounge access is worth. Personal consumer credit cards are the go-to cards for securing complimentary lounge access, as you’ll find a wider selection than with business credit cards. It’s difficult to compare credit cards on lounge access benefits alone, as a card with a high annual fee might offer other perks or rewards that more than offset that annual fee. You’ll have to investigate further to see if a card is right for your situation overall and not just a perfect fit from a lounge access perspective. For example, the Chase Sapphire Reserve® offers 50% more redemption value when you use Ultimate Rewards Points earned on the card to purchase travel via the Chase travel portal, and it has an annual $300 travel credit. The Platinum Card® from American Express offers $200 in airline fee statement credits and earns 5X Membership Rewards Points on eligible flight and hotel purchases. Most credit cards that have global lounge access, including Priority Pass Select membership, allow 2 additional guests at no cost. The number of guests you can bring and the amount you will be charged for guests beyond the allotted maximum differs by card. You can review the guest details in the offer information before you select a card or check the terms and conditions in your card benefits guide when you receive your card for current rates. Bottom Line: Although lounge access may be a primary reason you’re considering a credit card, you’ll want to review the other perks, benefits, credits, and rewards that come with the card to see it’s a fit overall. Considered the ultimate credit card for travelers who value lounge access, the Business Platinum® Card from American Express and the personal version of the card offer access to the largest collection of global airport lounges. The card receives accolades for more than its extensive lounge access network, as it’s a dominant travel rewards credit card for frequent travelers who value luxury travel perks. Delta frequent flyers will enjoy lounge access when traveling on Delta, but that’s not the premier benefit of the Delta Reserve for Business Credit Card. The card is more popular for its ability to earn elite qualifying miles that make achieving frequent flier status easier and for its free companion pass when purchasing a premium Delta ticket. If you’re a traveler and Hilton is your hotel brand of choice, the Hilton Honors® American Express Business Card will serve you well while earning Hilton Honors Points on all of your purchases. 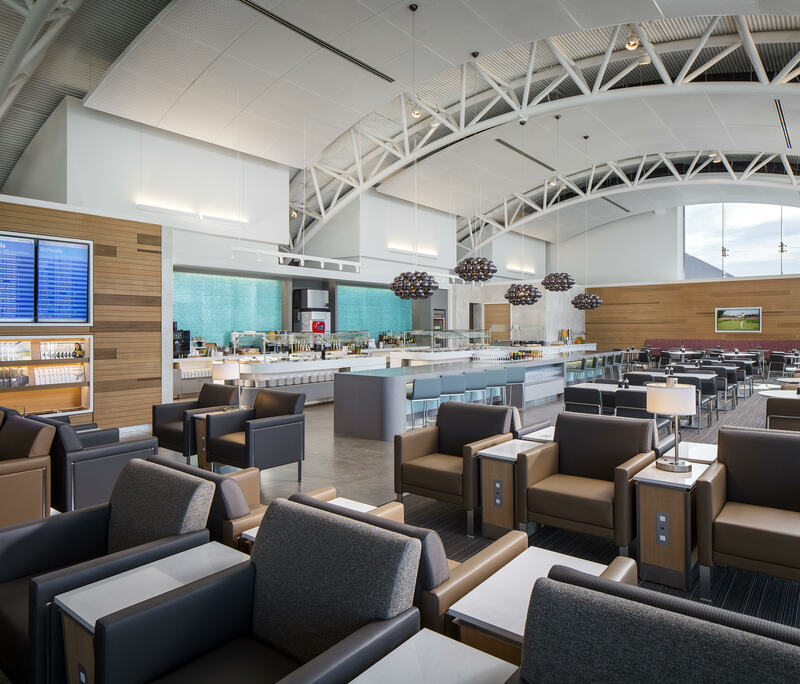 With 10 free Priority Select lounge passes to use each year, your travels become more comfortable and more productive. While complimentary lounge access is not the MileagePlus® Explorer Business Card’s strongest suit, it is still one of the few business credit cards that offer any complimentary lounge access at all. It’s also an excellent choice for frequent United Airlines fliers who want to earn miles on United and other business expenses, receive priority boarding, free checked bags, and upgrades on award tickets. 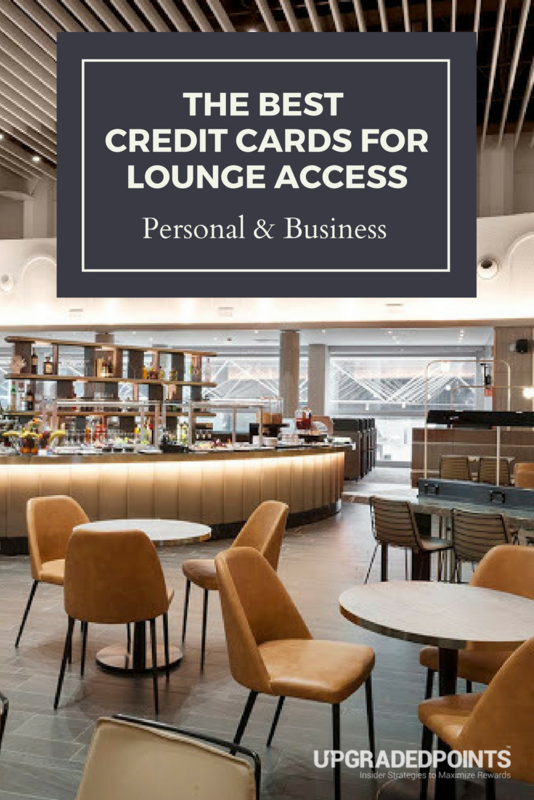 Hot Tip: There aren’t many business credit cards offering complimentary lounge access, so you may want to look for lounge access benefits on a personal consumer credit card, as there are more choices available. 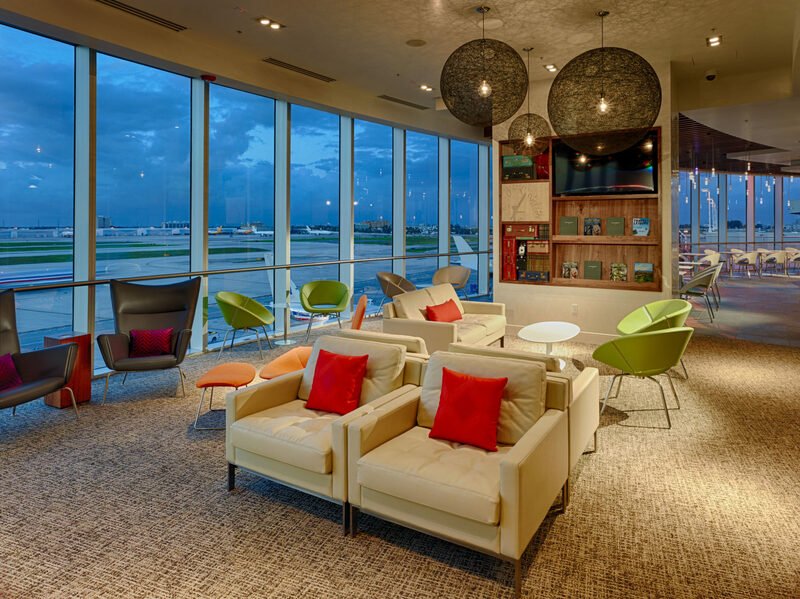 When you’re traveling, complimentary lounge access for you and your family or other travel companions is a great perk. There are times, however, when others may be traveling without you and would greatly benefit from complimentary lounge access. Simply adding an authorized user can allow them to enjoy some of the same travel benefits with the credit card, including complimentary lounge access. These are some of the cards that grant lounge access for authorized users and a breakdown of the associated fees. Delta Reserve® Credit Card from American Express Delta SkyClub $450 (See Rates & Fees) $175 total for up to 3 additional cards that include SkyClub access. Free additional cards do not include access. While adding an authorized user can be a cost-effective way to secure lounge access and other card benefits, keep in mind that with Chase, there could be 5/24 rule implications for the authorized user. Remember that you’re responsible for all charges made to the credit card, including those made by an authorized user. Not all credit cards with a lounge access benefit offer it for free. Some include a basic lounge membership (normally worth about $99) and then discount the access fee. Your complimentary membership might be with Lounge Club, Priority Pass, or LoungeKey, all similar or related global lounge networks. If you have a World Elite Mastercard®, you have discounted lounge access through the Mastercard® Airport Experiences provided by LoungeKey. Other credit cards such as the Hilton Honors American Express Ascend Card may offer free standard Priority Pass membership, but may or may not include free passes per year, then offer discounted access for $27. Hot Tip: Discounted lounge access is not a stand-alone reason to select a credit card, but you may want to check if any of your current cards have this valuable benefit. You could be enjoying some of the most luxurious lounges in the world for just a $27 entrance fee. Just call the number on the back of your card or check your cardholder agreement to see if you have free lounge network membership and discounted lounge access. Purchasing lounge access memberships through airlines or with companies such as Priority Pass can be expensive. Complimentary lounge access with a premium credit card can save you plenty. Image from Priority Pass. 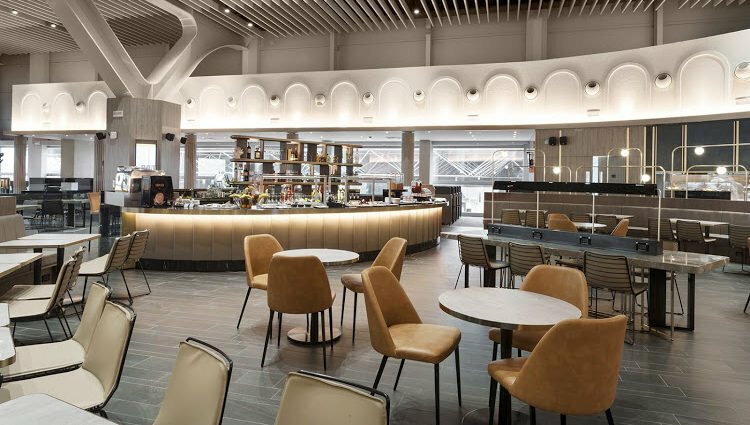 You don’t need to have a premium credit card to enjoy access to airport lounges, but you will need to secure a potentially pricey lounge membership or a day pass. And remember, not all lounges can be accessed with a card, like The Private Suite at LAX. This breakdown of membership costs illustrates the approximate value of the complimentary lounge access you can receive with premium cards. If you’re a frequent traveler who purchases several single-lounge access passes per year or an annual lounge membership, you may fare better by selecting a premium credit card that includes complimentary lounge access. The added value of a sign-up bonus, additional travel perks, rewards, credits for travel purchases, and travel and purchase protections can make securing a premium travel credit card a wise economic decision. Bottom Line: While premium credit cards that include complimentary airport lounge access may come with high annual fees, these cards provide excellent value that goes beyond what you’d receive with an annual lounge membership. Lounge access is one of the most valuable travel perks so having this benefit included on a premium credit card makes sense for serious travelers. Plus, if you’re purchasing a lounge access membership elsewhere, it’s a simple economic decision to consider a premium credit card that includes this perk. And while lounge access may be important, you’ll want to consider the whole package of benefits that come with each card as lounge access will be just one of many valuable benefits available on a premium travel card. Which is the best credit card for lounge access? The best credit card for lounge access is the one that fits your travel priorities and budget. If you travel often with a specific airline, for example, you may consider that airline’s branded credit card. If you frequent airports with Priority Pass lounges, you may consider a different credit card entirely. If you’re looking for a card with a lower annual fee than the typical $450 fee for premium cards, your choices will be limited, but there are a few available. Narrow your choices to the cards that match your lounge access priorities and then review the entire card packages before applying. How does Priority Pass work? Priority Pass is a global lounge network that offers lounge access with different membership levels and price points. Priority Pass partners with credit card issuers who include complimentary membership for cardholders. Depending on your card’s membership, you may enjoy free unlimited lounge access or have a limited number of free passes annually, then $27 per visit, or pay $27 for every visit. Is there a credit card with no annual fee that comes with lounge access? 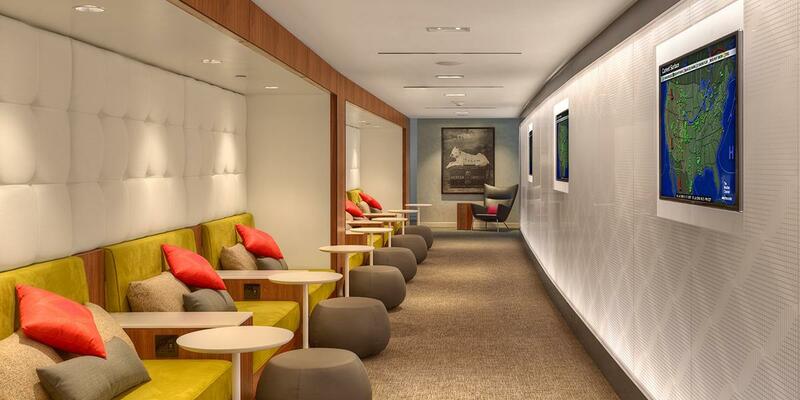 Most of the credit cards that offer complimentary lounge access have hefty annual fees. However, the Hilton Honors® American Express Business Card has a lower annual fee and comes with 10 free passes to Priority Pass lounges worldwide, making it a very good economic choice for lounge access. If you want a personal credit card, the Hilton Honors American Express Ascend Card also offers 10 free Priority Pass visits per year with a similar non-premium annual fee. Does adding an authorized user to my card hurt my credit score? Adding an authorized user to your credit card will not hurt your credit score because you’re still the only one responsible for paying and managing the account. The authorized user is simply an additional user. With that said, if the authorized user makes a lot of purchases you don’t know about and you fail to make sufficient payments on your card or are late in making payments, your credit score will be affected. For this reason, you’d only want to add an authorized user you know and trust. Do I use my credit card for lounge access? If your credit card comes with Priority Pass Select membership, you will need to register with Priority Pass to receive a digital membership card and subsequent physical card that will arrive in the mail. You can then use your Priority Pass Select membership card to gain access to Priority Pass lounges. Airline-branded credit cards and other premium credit cards such as the Platinum Card® from American Express allow you to use your credit card for lounge access. For others, you’ll need your Priority Pass Select card. You’ll need to reference your associated credit card agreement when you receive your card to determine which card to use for lounge access. I am amazed at how many of my friends are either not aware or don’t use their card benefits especially when it comes to airport lounges. These are also the same people who complain about crowded boarding areas when sitting in their wallet is the solution. Great post!! Great observation, Eric, the lack of awareness is surely the culprit. Thanks for reading and for your comment. Is The Platinum Card® From American Express (Really) Worth $550 Per Year? Which Airport Lounges Can I Access With The Platinum Card® From American Express?